What do you mean by Varnishing my Exhibition? 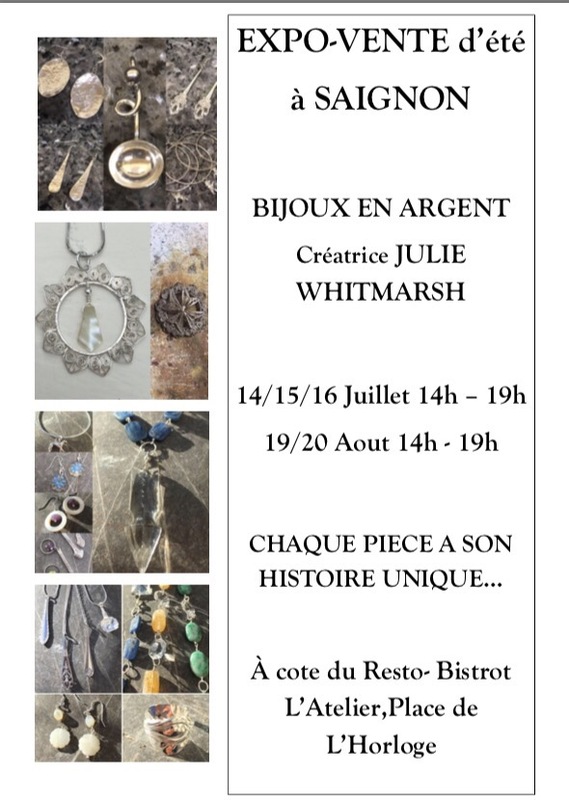 A couple of months ago a friend, who owns a beautiful property in the centre of Saignon offered me the chance to have a small Exhibition of my jewellery there this summer. 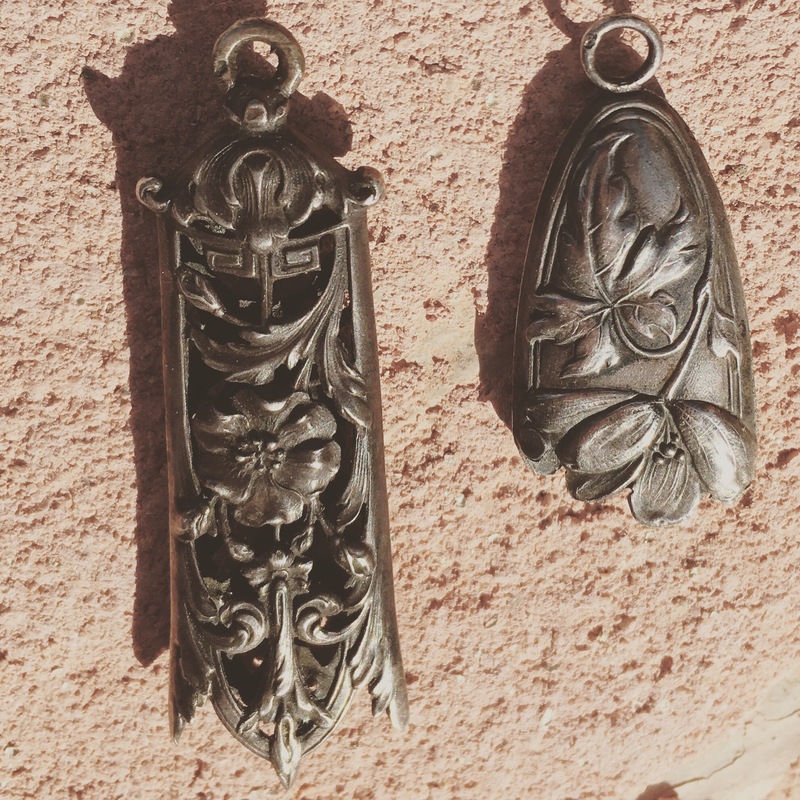 It all started because I wanted to bend a spoon to make myself a new pendant, but I quickly got hooked by working with old silver and started designing other pieces and the hobby grew quite quickly. 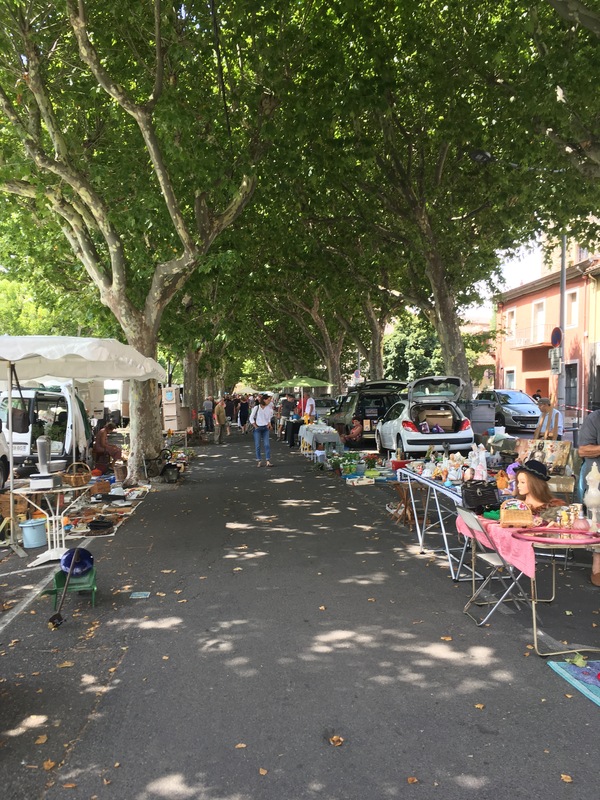 As such when I was offered the chance to have a small exhibition here in Provence this summer, I leapt at the chance – before I had the opportunity to talk myself out of it. 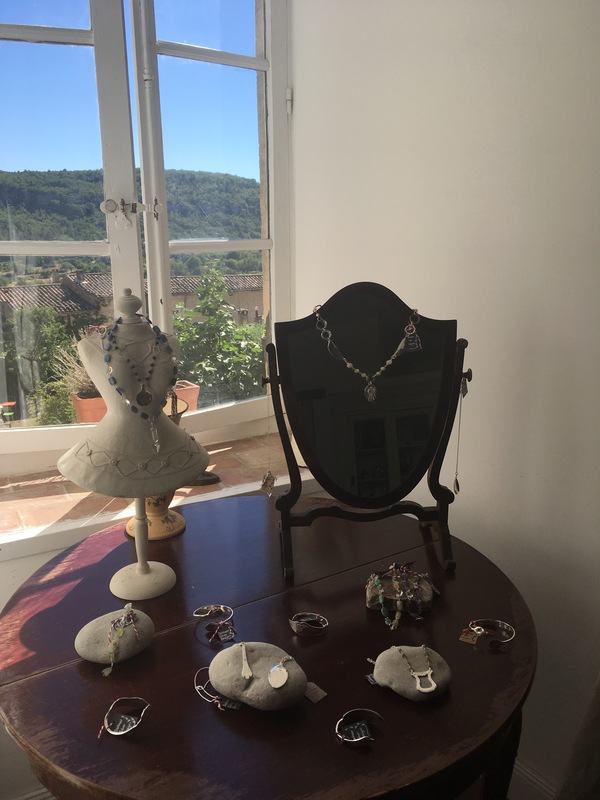 So along with bits of furniture and the long-suffering ‘Pusscat’ the car was filled with my displays and my bag of jewellery for the long drive through France. To be honest, I had started off thinking that it would be a bit of fun and a chance to do something different and have a new experience this summer. 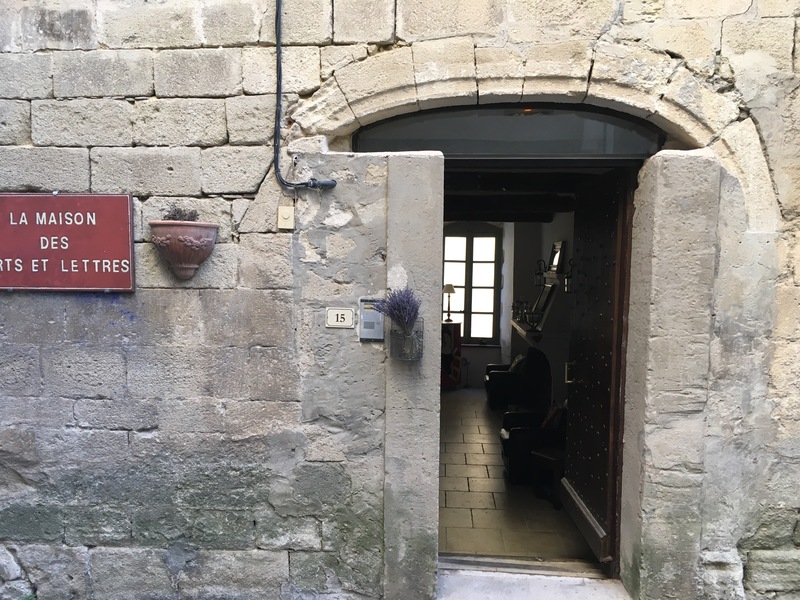 So the dates were set for a weekend in July and one later in August with the Expo to be held in the beautiful medieval cellars of the house, just beyond the main square in Saignon. Then things started to escalate when 2 weeks ago we had lunch with friends and they asked when the ‘Vernissage’ was going to be held and had I invited everyone who needed to be invited. Now until that moment I had always thought ‘Vernissage’ was varnishing – but apparently not! It appears that it would be good form to hold a preview event on the evening before the Exhibition opens with drinks and nibbles for invited guests, including the local Mayors etc. 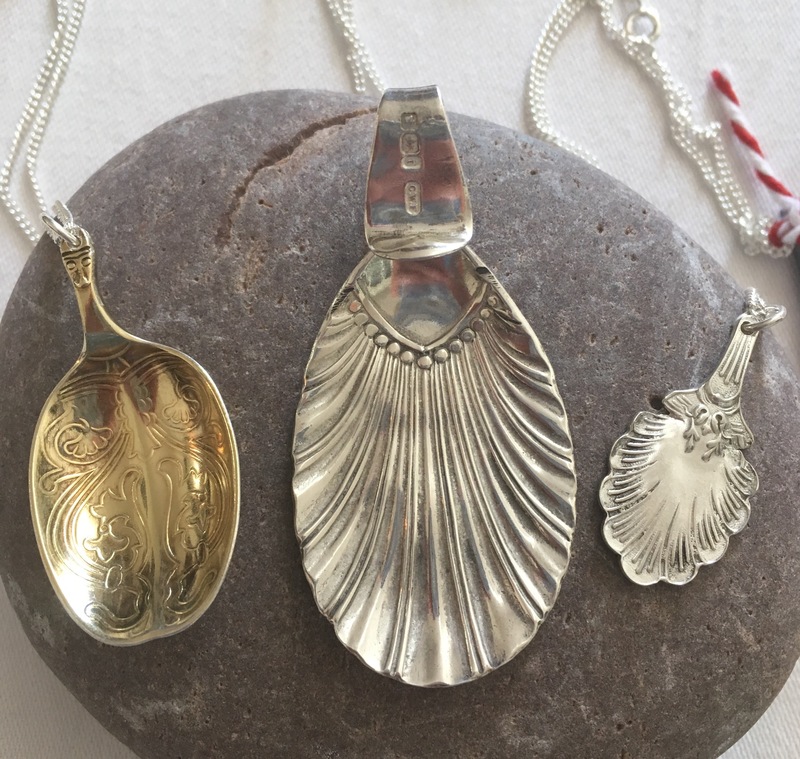 My initial thoughts that this would be a gentle experience changed and I realised it was becoming more of an event than I had thought – a bit of a step up from setting up at a craft fair in Devon! Plumping for fruity & fresh flavours – although the ‘petrol-pump’ approach of filling containers was rather tempting too! 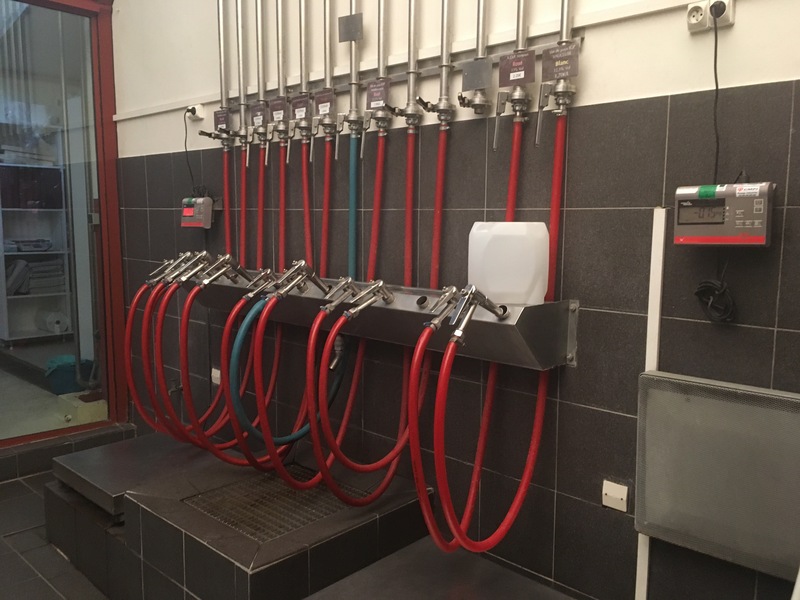 Now this looks fun & certainly smells better than a fuel station! 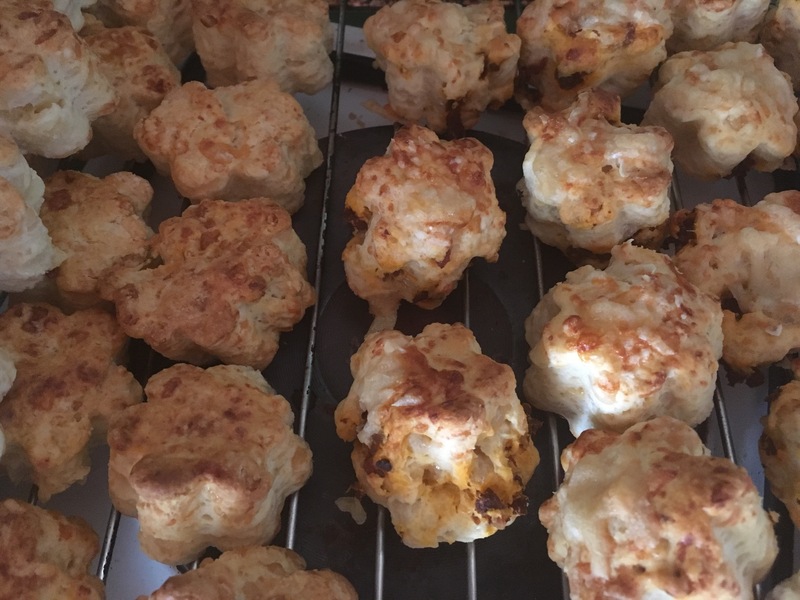 I opted for a mix of English and French nibbles, spending the morning making mini cheese scones and Parmesan biscuits to be eaten with local olives and tapenade….. 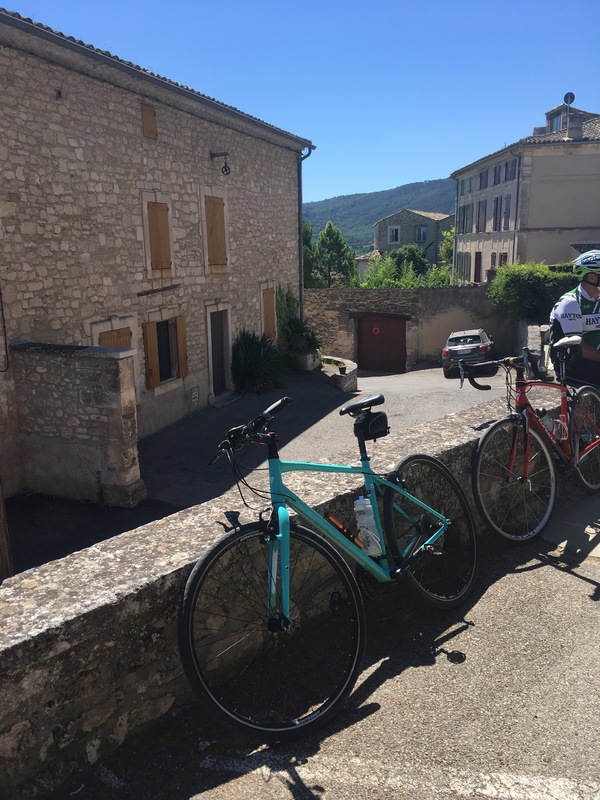 So (by now a bit of a bundle of nerves) we pottered across to Saignon and set up my displays, popped out the signs and waited to see if anyone turned up. 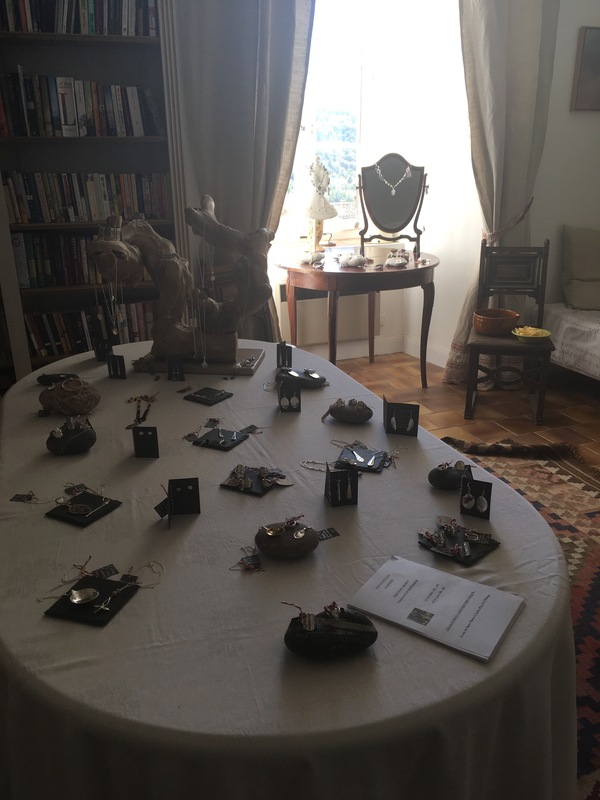 All in all the ‘Vernissage’ turned out to be a lovely evening chatting with friends and explaining my pieces to them and the 2 hours flew by. 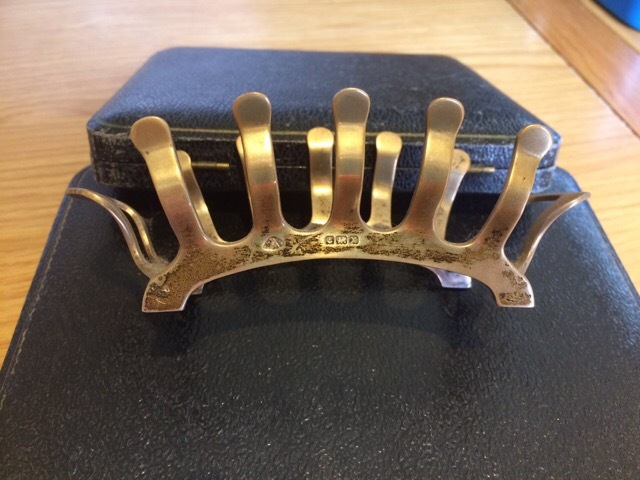 I have to admit to being rather daunted by the prospect, but in the end I really didn’t need to worry and happily my French held up when describing what each piece had been in its former life – although the concept of a toast-rack took a bit of explaining! 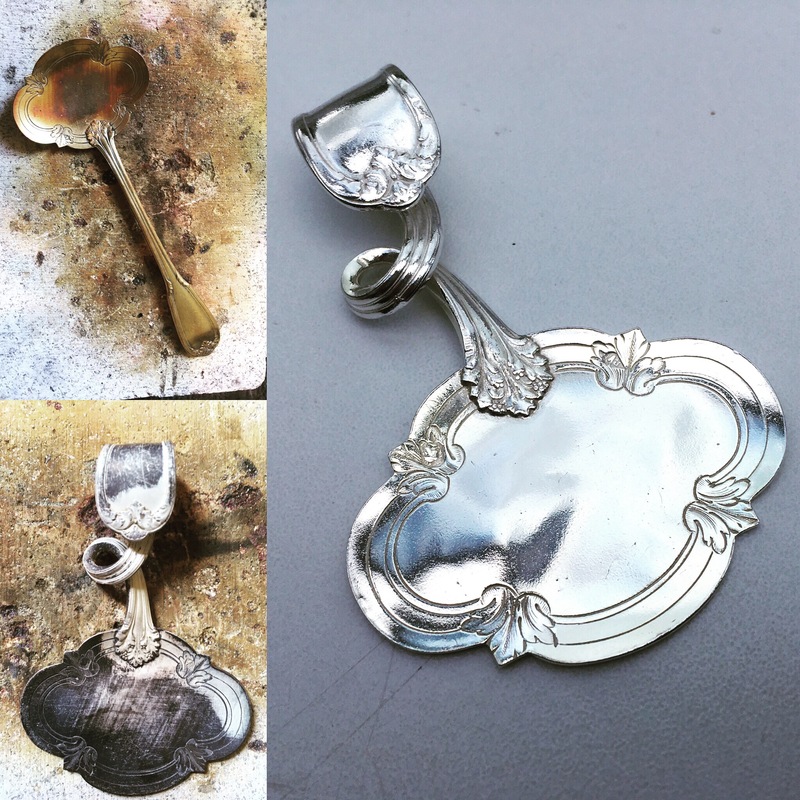 So far bits of this toast rack have become a necklace and earrings! So my little Exhibition has started and so far it has turned out to be the fun experience I had hoped for. The days are rolling by with a few hours cycling in the morning……. 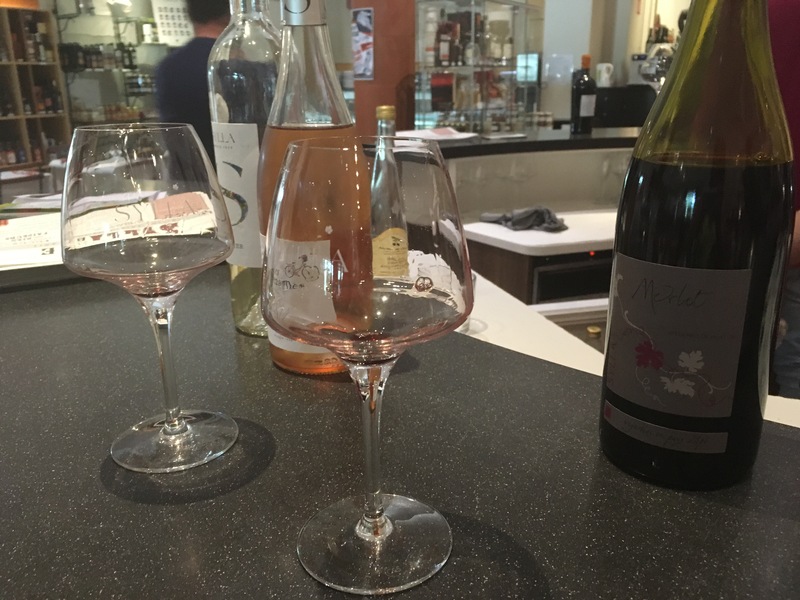 And spending the afternoons in a beautiful space chatting to visitors from across the World and improving my French. And at least now I know that Vernissage isn’t just varnishing! 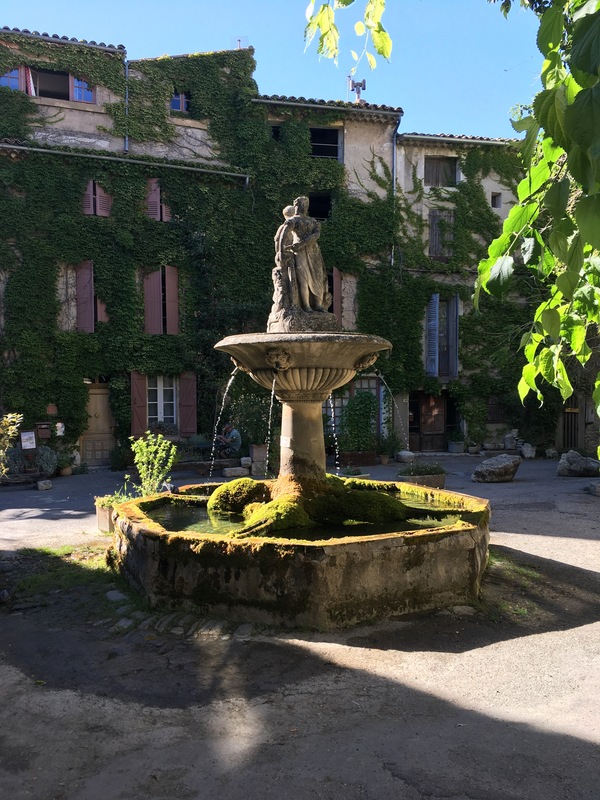 Previous Post A Beach, a Gorge & Waterslides – 3 cool & wet ﻿places in Provence for the summer. 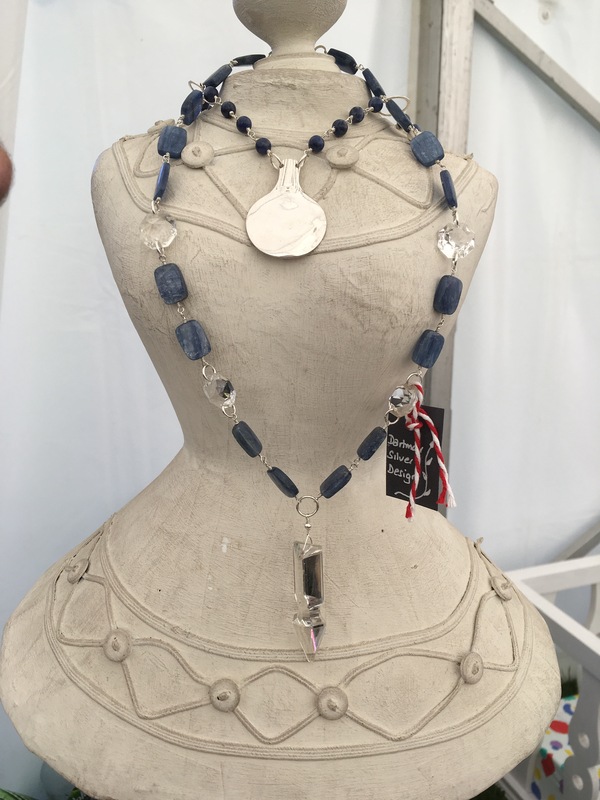 Thanks – You know me – super posh and glam every moment of the day …….. not!! !